Salomon Men's XT Wings GTX - these shoes are beautifully designed, and i've noticed them every year -- but i couldn't get my feet to make peace with this pair. the gore-tex model of this salamon wings shoe fits me differently than the standard model that was available to try on before mail-ordering :-(. 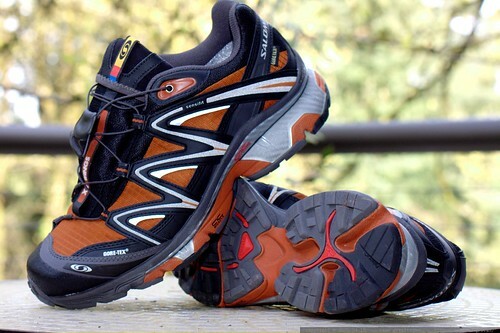 last summer i had a similar experience with a pair of Salomon Men's XA Pro 3D Ultra GTX shoes. mccun934: i wore my old pair of XA Pros down to the nubs on the tread. I guess they fit my feet well. I really love their lace system.